Colorful and Crunchy · Fall's Here! Look at all the brightly colored trees! Fall weather causes leaves to change colors. 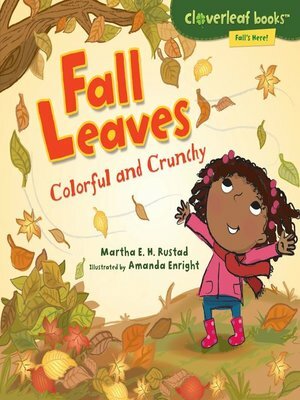 Follow a leaf as it grows, changes color, and falls to the ground. Let's grab a rake! What happens in fall? Find out in the Fall's Here! series, part of the Cloverleaf Books™ collection. These nonfiction picture books feature kid-friendly text and illustrations to make learning fun!